When it comes to leading people, many pastors fall into one of two opposite traps. Doing everything themselves, or delegating tasks to people who don’t do them well. Many pastors swing wildly between the two. In performance, the focus is on the musicians. In worship, the focus is on Jesus. Music has always been a point of contention in the church. Instead of worrying that the urgency of life will ruin our productivity, we need to be careful not to let the urgency of productivity ruin our life. There’s been a lot written about productivity lately. And I’m grateful for it. There are some pastors whose names are known by thousands, even millions of people. They have the type of ministry in which their successes are obvious. But that’s not the case with most pastors. The typical pastor does ministry without much notice or name recognition. As pastors, we typically spend our time in three overlapping areas of ministry: communication, administration and relationships. Statistics, surveys and comparative metrics are not as helpful in assessing small church health as they are in assessing big church health. One of the challenges of pastoring in a small church is that there’s nothing typical (or normal) about anything we do. A plea to my fellow pastors: The body of Christ wants you healthy and whole more than we need you to perform numerically. There’s something very sad and scary about the way too many pastors are leaving the ministry lately. How long should a sermon be? As long as it needs to be. People don’t hate long sermons. They hate boring sermons. Irrelevant sermons. Impractical sermons. Uninspiring sermons. Unprepared sermons. Over-prepared sermons… You get the idea. In a smaller church, we can’t equip others to do hands-on ministry unless we’re hands-on ourselves. 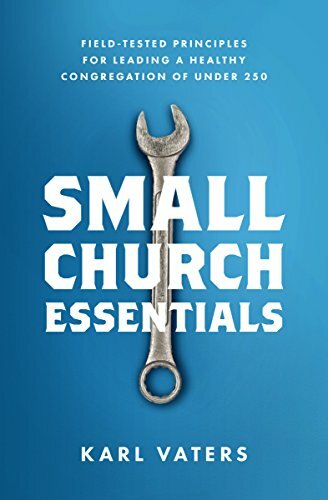 If you want a church to grow, you need to become less of a hands-on pastor. That’s what I’m constantly told. But it’s not entirely true. At least not for most congregations of a typical size. Money touches everything we do, but most pastors haven't been taught as much about it as we should have been. Most pastors get a lot of training before we go into full-time ministry. We learn about theology, preaching, counseling and more. But the one aspect of ministry that most of us get the least amount of teaching on is one that touches everything we do. Money.